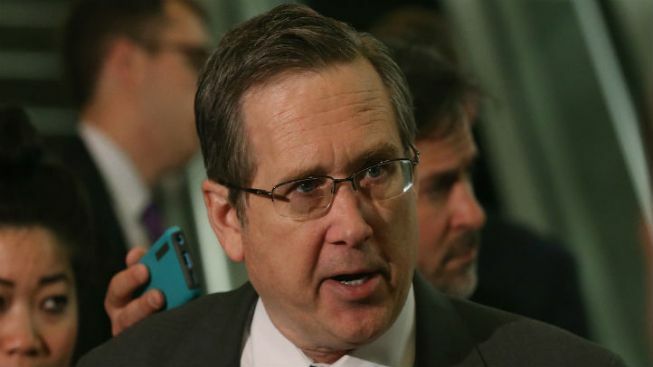 White House Press Secretary Josh Earnest was asked Wednesday about Sen. Mark Kirk likening President Barack Obama to “the drug dealer in chief” for making a $400 million cash payment to Iran that was tied to the release of American prisoners. White House Press Secretary Josh Earnest responded Wednesday to Sen. Mark Kirk likening President Barack Obama to “the drug dealer in chief” for making a $400 million cash payment to Iran that was tied to the release of American prisoners. Kirk is currently locked in one of the nation’s most highly-contested Senate races with Rep. Tammy Duckworth. Duckworth urged Kirk to apologize to both the president and the people of Illinois for his comments Tuesday. Nevertheless, Kirk stood by his comments Wednesday, refusing to apologize at an agricultural roundtable in Normal. “President Obama and Senator Kirk have worked together in a bipartisan manner on key issues, including supporting marriage equality and blocking those on the terror watch list from buying guns,” Kirk spokesman Kevin Artl said in a statement. “President Obama even wrote Senator Kirk to thank him for his bipartisanship with Justice Garland. However, Senator Kirk simply believes the deal with Iran does not make our country safer." During an interview with the State Journal-Register last week, Kirk claimed Obama was “acting like the drug dealer in chief” for making the $400 million cash payment to Iran. Last week, the Obama administration claimed the money was used as leverage to push for the release of four U.S. prisoners. The payment was announced in January, a day after the Americans were freed and on the same weekend U.N. sanctions against Iran were lifted. The White House and State Department have denied Republicans’ claims that the transaction served as a ransom payment, claiming the timing was coincidental. According to the State Department, the $400 million was used by Iran to purchase weapons and equipment from the U.S. while the shah was still in control, Prior to the 1979 Iranian Revolution.